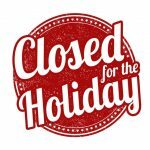 The Healing Center office will be closed from December 24th until January 2nd for the holidays. All groups during this time will be cancelled. Adult groups will resume on January 2, 2018. Please note, our children’s programming will resume the week of January 21, 2018. Please refer to our Google calendar for a more detailed view of the cancellations. If you have an emergency during this time, call 911 or the 24 hour crisis line at 206-461-3222. How it moves so fast from fall to winter always baffles my mind. We are in full holiday swing at the Healing Center with the holiday party on December 6th for our group members and providing extra support during a very difficult time of year. It’s been a busy fall, just a few weeks ago the entire Board of Directors and staff came together for our first (and what will become) an annual retreat. As I mentioned last month, I want to share some of the specific goals we are working towards next year. We have lots of work to do, but we’ve got great momentum and excellent leadership from our Board, Advisory Committee and Clinical and Operations Directors. Since January 2018, we have served over 300 group participants. That’s 197 adults, 45 young adults, and 60 kids. We’ve seen extraordinary demand for our services. In 2017, we had 190 new people reach out to the Healing Center, January through November 2018, there have been over 375 new individuals and families seeking group support. We’ve never had this kind of demand. If you can this holiday season, please think about The Healing Center and the support you have received. We’d love to be able to provide more group support hours. Please donate to give the gift of comfort and healing to an adult or child grieving the death of loved one. I want to thank all of you who have helped to make this safe place possible: our donors, our volunteers, our dedicated staff and interns. Most of all I want to thank those of you who are grieving and who have trusted us to help ease your load. You are the reason we are here. On behalf of the Board and Staff, Happy Holidays and Happy New Year! Our annual holiday party and potluck was held on December 6th. The event was a chance for the Healing Center community to get together and celebrate the holidays in a safe and supportive environment. In addition to a delicious potluck, the children were paid a visit from Santa and received many gifts. A big thank you to Toys for Kids, Rick Rizzs and Resa Moore for spreading holiday magic and providing toys for the children in our programs. What brought you to The Healing Center? My life partner of 35 years died suddenly of a rip in his aorta while on a run in September of 2017. A good friend, whom The Healing Center had helped when her husband died, strongly suggested that I join the early Group. I’m glad she did. What was helpful about coming to The Healing Center? By far, the most helpful thing about early group is sharing what’s going on and listening to others. Especially in the early months after the loss, so many people say things which we receive as hurtful (even though that is not the intention) or insensitive or preachy or full of bad advice or downright offensive. When those events are shared, everyone feels the support and understanding, even though it is most often unspoken. There is a lot of trust that develops quickly in the group. I found I was able to share feelings and events with the early group that I hadn’t shared with even my closest friends. Is there anything from group that is still helpful today? When hard times arise, I can hear certain people’s words of comfort and support, reminders that there is no clear time frame or process that this grief takes. We all navigate this path in our own way, in our own time, and that’s okay. Also, I hear the laughter. Life–even in its darkest moments– can be humorous. We all have laughed a lot through our tears. Is there anything currently happening in your life that you are proud of/is exciting? Because of my personal circumstances, I’ve had to take charge of a huge clean-out process at my property. After nearly 15 months, we’re almost done. It’s been a lot of work and I feel a huge sense of accomplishment. This clean-out has meant getting rid of my sweetie’s “treasures” which he spent decades collecting. But I know Bill would want me to be happy and to have a good life after he’s gone, overall it feels really good. Now that the clean up is coming to a close, I can continue to figure out what my life will be like moving forward-a daunting but also exciting challenge. How did you first hear about The Healing Center and how did you get involved in volunteering? My husband John died November 9, 2013. The last week of his life he was in hospice care at our home. After he died I knew I needed help. I signed up for a six-week bereavement group with Hospice. At the last session the facilitator passed out a list of other places to go for bereavement help, The Healing Center was included on the list. I looked at the website and decided this might be a place for me to go to receive additional support. I attended the Early Group for about a year. It was so wonderful to be in a room of people who “got” it. The facilitators and co-facilitators were so understanding and caring. 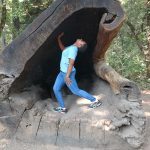 Those of us in the group could share our pain and as we went along, also share some laughter and new accomplishments as we went through our struggle. After attending the Transitions group for a few months I knew I wanted to give back so I started volunteering. Nothing too major at first. I’d help at events and do some office work. Eventually, I realized that I wanted to give to others what was given to me by the co-facilitators during my time as a client. That’s when I asked if I could train to be a co-facilitator. How long have you volunteered with The Healing Center? What kind of volunteer work have you done for The Healing Center? After attending the co-facilitators training, I participated in one of the client retreats. Eventually I started co-facilitating for the Adult General Loss and the Survivors of Suicide (SOS) groups. I continued volunteering at client and special events. I volunteered almost two years. Five years is a long time to spend without your partner and the love of your life. John and I had many adventures. We were together for 34 years. I loved our life and our home in the Seattle area. After a while though I realized I was living our life alone and started wanting another adventure. I have a dear friend that lives in the Houston area. I have visited her and her family many times over the years and I decided that I’d move to Crosby, TX. So far I am enjoying it. I bought a small home and I’m busily trying to get all my furnishings organized. 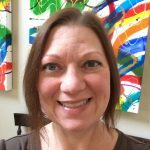 Without the help of all of the facilitators, co-facilitators, staff, and other volunteers, I would never have been strong enough to survive let alone make a big life decision to create a new adventure for myself. I’ve always believed the universe takes care of us and guides us if we allow it. 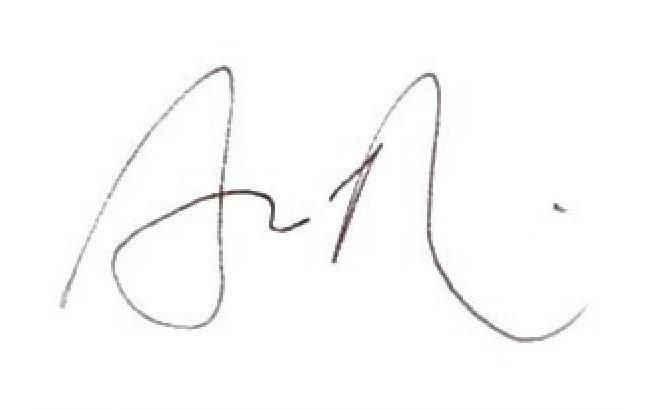 I realize that I will never be the same person I was with John. I will always miss him and he will always be a part of the rest of my life. Being a part of The Healing Center, as a client and as a volunteer, helped me realize life goes on and I will be forever grateful. The Healing Center believes in transparency. We want you to know how we operate and how we spend our resources. 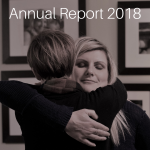 Click here to view our newly released 2018 Annual Report. If you have any questions about the annual report or financials, please contact us at hello@healingcenterseattle.org. Feel free to reach out to the office with any questions or concerns. If you have an emergency during this time, call 911 or the 24 hour crisis line at 206-461-3222. 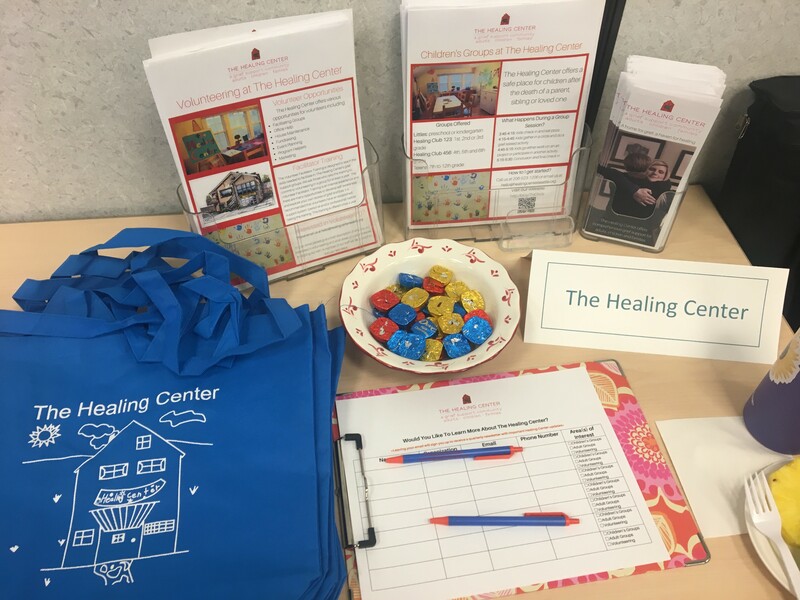 The Healing Center serves the greater Puget Sound region in providing grief support to kids, adults, and families and is seeking an Executive Director to be responsible for leading revenue / fund raising efforts as well as oversee its programs and clinical staff. The Executive Director, working collaboratively with the Board of Directors and staff will develop, plan, and implement strategies for the growth, development and funding of the organization. The candidate must have a positive and supportive attitude and strong belief in the Healing Center’s mission and vision. This role currently provides personnel supervision of the Clinical Director and Operations Manager. Must have the ability to think creatively, solve problems, and have good decision-making skills and like working with donors, Board members, and a staff with diverse responsibilities. • Work with the Board of Directors and staff to develop, implement, and evaluate a new funding model for the Healing Center to grow our ability to help an ever-larger number of people. • Identify future funding directions, new opportunities, and innovative strategies to increase revenue to serve The Healing Center’s mission. • Prepare and execute an ongoing fundraising plan with the participation and support of staff, Board of Directors, and volunteers. • Report to and assist the Board of Directors in carrying out all governance functions. • Work with the existing Board members to facilitate and increase their level of participation and to increase board membership. • Maintain a climate which attracts, keeps and motivates a diverse staff of top quality people. • Hire employees and consultants. Supports the professional development of staff. • Manage the operations of the organization, including budget planning and fiscal responsibility. • Ensure compliance with personnel policies and city, state and federal regulations and licenses. • Represent The Healing Center in the larger non-profit and philanthropy communities, and with the news media. • Establish sound working relationships and collaboration with community groups and organizations. • Manage and create content for The Healing Center’s web site, social media, and newsletter that will create interest in our work. • Plan and execute regular events to build awareness about the Healing Center. • An energetic disposition and ability to manage and maintain a professional yet fun work environment. • Must possess sound judgment; prioritization and follow-through skills; attention to details; dependability; tact; and ability to maintain confidential information. • Must be able to cope with family/caregiver emotional stress, cultural diversity and be non-judgmental of individual life-styles. One of my favorite national parks is Joshua Tree National Park in California. There is just something about the desert and the stillness that I find restorative. 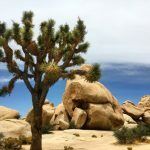 Joshua trees are fast growers for a desert climate and while it is top-heavy, it has an extensive and deep root system, expanding down and out to 36 feet. It can survive for hundreds or even thousands of years. Healing Center has deep roots in the grief community and we are gearing up for what will be phenomenal 2018-2019 for us to thrive and grow. Almost a year ago, The Healing Center Board of Directors made several leadership changes and put in an all-out effort to save The Healing Center. I’m happy to report The Healing Center is well on its way to many more years of helping those find healing with their grief. We would not be here today without the tremendous support of you: our clients, donors, friends, family and broader community. I want to highlight what has been going on the past few months and what you can expect in the fall. The Community of Hope Luncheon was our most successful luncheon event to date. We netted about $70,000. I want to thank our donors and our speakers; Travis Mayfield, Kath McCormack, Tom Hall and all our Healing Center storytellers. It was the most powerful program I have experienced in recent years. We’d love for you all to join us at our fall event, Oktoberfest on September 28th at Block 41. An official save the date will be sent this month. We also participated in GiveBig on May 9th, raising almost $20,000. Thank you to everyone who donated during GiveBig this year. On behalf of the Board, I want to thank Scott Rutledge for his 9 years of service as one of our therapists. Scott has decided to move on and we are going to miss him. Scott’s last day was May 31st. The Healing Center is currently seeking a Clinical Director who will be the clinical leader for all our programs and therapists. This is a key position we have had vacant for almost a year. We have several fantastic candidates that are currently going through our interview process. If you know of anyone, please reach out to jobs@healingcenterseattle.org. I am excited to welcome four new board members and we can’t wait for you all to meet them! They just finished board orientation and are attending their first board meeting this month. Part of our continued success requires that we add new members and perspectives around grief to our community. We plan to add another small cohort of board members in the Fall. The Healing Center will not be holding a summer camp for kids this year, but we will offer our children groups once a month. Click here to view our summer children group schedule. Our full schedule of children programming will return in October. This summer the Board and our Advisory Committee will be spending time to plan and ensure the future sustainability of The Healing Center. You will receive a full report on our plans in the September newsletter. Part of our planning will involve reviewing your feedback from the client survey we launched in early June. This is the first survey we’ve done in a long time (over 3 years). I want to thank everyone again for all your continued support. Please take time for yourself and family this summer and if you ever need anything or have concerns, just reach out to me (aaron@healingcenterseattle.org) or the board ( board@healingcenterseattle.org). 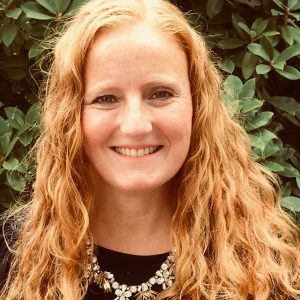 Julie Arguez is a clinical social worker in private practice working with children, teens and adults in the Seattle area with a specialty in grief and loss. 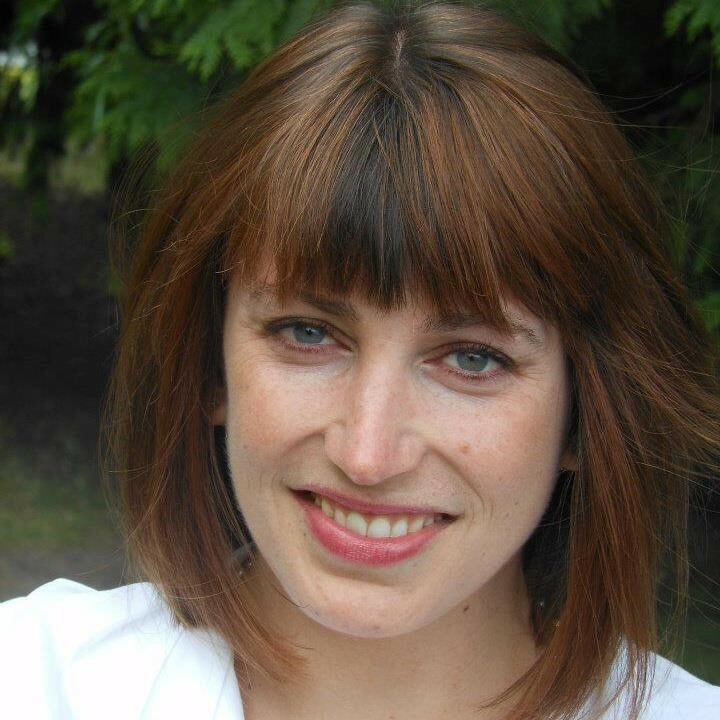 She is an adjunct faculty member at the school of Social Work at the University of Washington and has a strong commitment to robust grief support services for the Seattle community. Maygan’s proudest accomplishments are two amazing teenage boys. 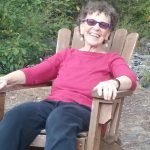 She is a former client at the Healing Center having attended Early Group, Transitions, and Perspectives after her husband died in 2012. 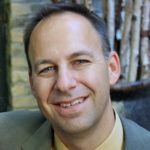 After almost 9 years with The Healing Center, Scott Rutledge, one of our therapists, left The Healing Center at the end of May. Scott has helped hundreds of individuals through the some of the most difficult times in their lives and we are grateful for all that he has done for us over the years. We wish him the best of luck on his future endeavors! I began attending the Young Adult Group following the suicide of my twenty-two-year-old brother in 2013. I was an eighteen-year-old freshman attending Seattle University at the time. A fourth-year student suggested I attend the Young Adult Group at The Healing Center and it was one of the best decisions I’ve ever made. 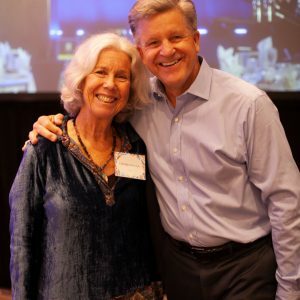 Joining the Healing Center community connected me with people who could understand my grief and were going through similar struggles. Prior to joining The Healing Center community, I felt very alone in my grief. One notable message I received in every group, one that I continue to remind myself of, is the importance of practicing self-care. It’s been a little over five years since I first walked into the Healing Center. I am currently a post baccalaureate student attending Washington State University, pursuing my dream of becoming a physician. It will be a long journey, but I know with hard work, persistence, and the continued practice of self-care, I will reach my goal. My volunteering is a very personal and private thing for me, so it’s difficult for me to answer this. In May 2007, my brother David died by suicide. 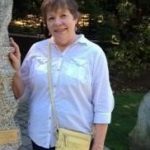 I was living in California at the time, and I found a local grief support group, which was the most helpful thing to me in processing my grief. I knew that when I felt ready and strong enough, that I wanted to help others in the way that this group helped me. My husband and I moved to the Seattle area in 2012. I was ready to “give back,” and so I searched and found The Healing Center. I volunteer because it is my way of expressing gratitude for the help and support I received when I needed it. I also see it as a part of my brother’s legacy: every person I meet at the Healing Center is someone I know because of him. If I am able to help someone in his or her grief, even in the slightest way, that good energy comes from David. It’s my way of keeping him a very real and active part of my life. How long have you volunteered with The Healing Center? I believe I started volunteering at The Healing Center in late 2012 or early 2013. What kind of volunteer work have you done for The Healing Center? For a while, I helped out in the office one afternoon each week. My Newfoundland, Glory, and I were a Therapy Dog team before she “retired,” and we visited with the kids’ group, Healing Club 4-5-6. Currently, I’m a co-facilitator for the Young Adult Group. Is there any additional information you would like to share? Any interesting hobbies or facts? I am a full-time dog mom! My two dogs, Shaftoe and Glory, are elderly now and require a great deal of my time and attention, and I wouldn’t have it any other way. 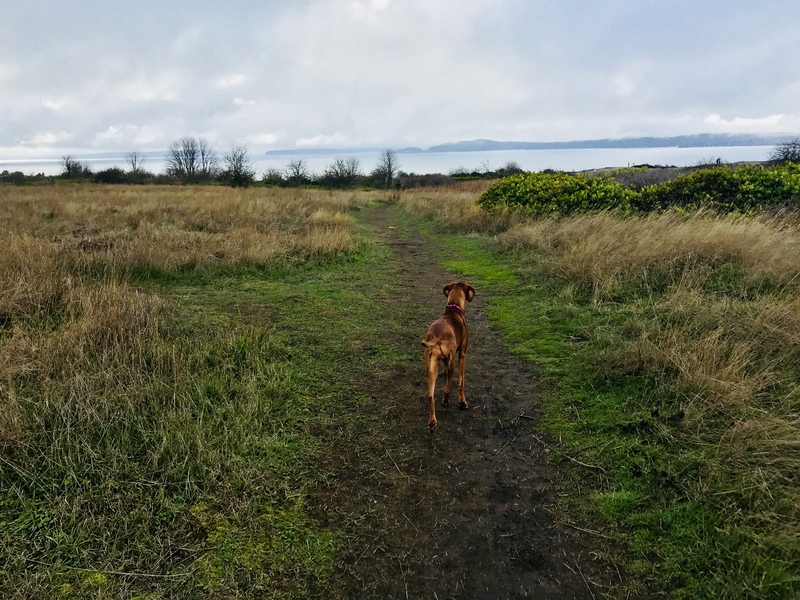 My husband and my dogs are my favorite creatures in this world, and our life together here in the beautiful Pacific Northwest gives me great joy. 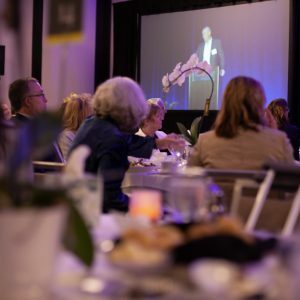 On May 3rd The Healing Center held our 2018 Community of Hope Luncheon. 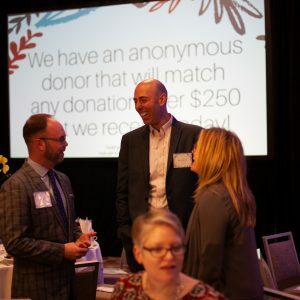 This was our most successful luncheon to date, raising around $70,000. Our event was hosted by Travis Mayfield of Q13 Fox News. The program included an introduction by our founder, Kath McCormack, a keynote presentation from Tom Hall and a chance for some of our current and former group participants to share their story with our guests. Thank you to all of our guests, donors and volunteers who helped to make this event a success. I once heard from someone that if the only thing you did today was breathe, that’s okay. I love that saying and while I don’t know where it’s from, the advice sticks with me. Sometimes all I need is a little breathing room. Making the time to find places where I can walk without distractions and take in the beauty around me. I like to let my dog lead me to places that I might not otherwise discover. I’m lucky to have stumbled upon the Healing Center five years ago and to be part of such a special place. Last year we had 360+ people attend our groups, 70 of those being children between the ages of 3 to 18. We also had 190 new people find the Healing Center. We are 6 months into rebuilding the operations and finances of the organization and I’m pleased to report we have made huge progress. There is always more to do, but the Board will begin to update our long-term plans in the coming months. We are actively recruiting and will have new Board members this Spring and we have re-engaged the Advisory Board. We’ve been busy, and I want to give you some updates. I want to thank all of you who have donated to our GoFundMe campaign for our housing costs. We have 9 days left as we try to raise $48,000. If you haven’t shared the campaign yet within your network, please do so today or re-share an update on our progress. We could not be successful without the tremendous support of our volunteers. Please see the article in this newsletter highlighting their great work. We recently trained 12 awesome new volunteer group facilitators in January and we’ll be holding a second training later this year. Jeanne, Scott, and Joe (our new Youth Therapist) did a fantastic job running the training! We recently received a grant from the Safe Crossings Foundation to support our children’s programs. We continue to see a strong need for childhood grief support. The 70 kids we saw in group last year was a 40% increase from 2016 and we are on pace to see continued growth, with almost 30 kids attending in January alone. We are grateful for the support from Safe Crossings Foundation as they help fund the growth of our children’s programs. Spring Luncheon – please save the date for our Spring luncheon on May 3rd from 12-1:30pm at the Westin hotel in downtown Seattle. Formal invites will be sent in April. The last item I want to address is a significant change for the Healing Center. As you’ve heard or read before, we are in the process of rebuilding the organization and ensuring our operations and finances match our program excellence. I created a task force of current and former group participants late last year to explore how we fund our groups. The Healing Center’s funding model has not changed for 18 years and it is no longer sustainable as our groups grow. Since its founding, we have asked that those attending group drop $20 in a bowl. The donations we collect are not enough to cover current and future costs for group (our therapists time and a portion of the housing costs). With the recommendations from the task force, we are making a shift in March to charge for group because we want to do our best to ensure that our groups can be funded and become self-sustaining. We will not turn anyone away if they do not have the ability to pay as we have reduced rates and scholarships. You can find more information about this change on our website. Be on the lookout this Spring for our first ever (at least in a very long while) Healing Center satisfaction survey. We want to hear from you on what is working and what we can improve upon. You can always reach the Board with feedback or suggestions. What drew you to working with the Healing Center? My father died of cancer when I was 7 and my brother was 5. 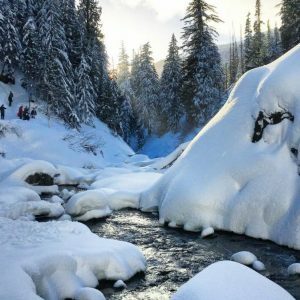 We lived in a small community in rural Idaho at the time and there weren’t any resources like The Healing Center and we didn’t know any other kids who could relate to our experience. Looking back I can only imagine the difference a place like THC would have made for us. I really appreciate how The Healing Center makes grief a less isolating and lonely experience. I started volunteering in 2013. I took time off a couple years ago to manage some health issues but have recently started back up. What kind of volunteer work do you currently do for us? I typically write thank you letters to THC donors. In the past I have also helped tidy up the art and play rooms upstairs. I’ve also enjoyed helping out at fundraising events and the May Day walks. Is there anything else we should know about you? Any interesting hobbies or facts? I have a counseling private practice and often work with adults who lost a parent as a young child. I married a travel writer last year and we love exploring new places. When we aren’t traveling, we’re working on fixing up our 114 year old house. We hosted a facilitator training last month. This 15 hour training is required for anyone who is interested in facilitating groups at the Healing Center. Over the course of 3 days, 12 potential volunteers received training on our grief support model. Topics included how to lead balanced, productive group sessions, the difference between the group support model and individual counseling and how to practice self-care as a facilitator. We are excited to welcome new facilitators into our community! Several members of the Healing Center staff attended the NW conference on Childhood Grief on March 2nd. This is the forth year that the Safe Crossings Foundation has hosted this event. The topic of this year’s symposium was Connecting Children to Support: Addressing Barriers to Service. The conference was a chance for several grief support organizations in the Puget sound area to gather and discuss how we can better serve our community. A big thank you to the Safe Crossings Foundation for organizing this event! You can learn more about the conference and the other organizations that attended here. The New York Life Foundation recently released survey data analyzing the effect of the loss of a parent on a child. They found that 57 percent of Millennials and Gen Xers who had lost a parent growing up felt that support tapered off within a mere three months of the loss, with 20 percent saying that support declined after the first week and an additional 21 percent saying after the first month. Although this survey only analyzed the loss of a parent in childhood, we know that this tapering off of support happens after the death of any loved one, at any age. This is why the Healing Center’s model of continued support is so important. We recognize that grief is an ongoing process and having a community of people who understand this process is vital to life after death. You can read the entire New York Life article here.